ABC Landscaping offers landscape maintenance in Kent, Stow, Streetsboro, and surrounding areas on a seasonal contractual agreement based on an eight month billing cycle, which runs from March thru October. General landsape maintenance includes mowing, sidewalk edging, string edging, machine edging, trash clean up and weed maintenance. Every contractual agreement is set up for each property separately, catering to their specifications. 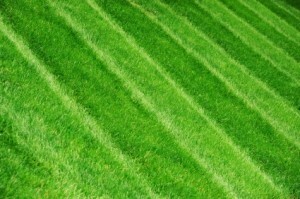 Mowing: Property will be mowed at a height suitable for maximum growth and appearance. Mowing will be done once a week weather permitting. Trimming & Edging: Concrete drives, blacktop, walks,curbs, light poles, fixtures, fire hydrants, patios etc. will be string trimmed or machine edged per visit. Weeding: ABC Landscaping will maintain a weed free appearance. This is done through spraying of weeds with an herbicide mixture or will be removed by hand. Trash: Trash will be cleaned up and removed from all mowing areas, beds, and parking lot. Post Clean Up: All mower clippings and debris created by ABC Landscaping will be cleaned off in areas that it is needed. Additional Services: Should your property require any additional services other then those listed above, ABC Landscaping will custom create your contract to better fit the type of services your location needs.